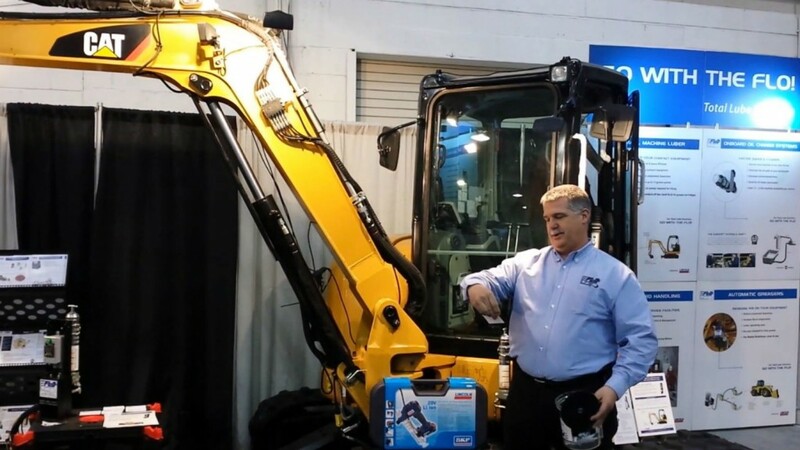 FLO Components vice-president Mike Deckert draws the winner in the company's Lincoln PowerLuber grease gun contest at the National Heavy Equipment Show 2019. Lopez says, "Anyone who came by our booth during the show had an opportunity to fill out a ballot and enter the contest." According to Lopez, the Lincoln 1884, 20-volt PowerLuber was developed for heavy-duty applications and remains a valuable tool for technicians, mechanics, maintenance teams, farmers and anyone else who conducts lubrication and preventative maintenance tasks. Packed in a convenient heavy-duty carrying case molded from impact- and stain-resistant plastic, the 1884 comes complete with two 20v Li Ion rechargeable batteries, a 110v one-hour charger and a 36″ high-pressure flex hose with spring guard. "We thank everyone who participated in the contest as well as the Media that helped get the word out about the contest and our sponsors - SKF Lubrication Business Unit."